Festive event held at Steinsaltz Center marks another volume of prolific rabbi's work with publication of commentary on the Rambam. Last week a special event was held at the Steinsaltz Center in Jerusalem. There, released for the first time was the Rabbi Adin Even-Israel Steinsaltz's Shulchan Melachim commentary on the Rambam (Maimonides), published by Koren. 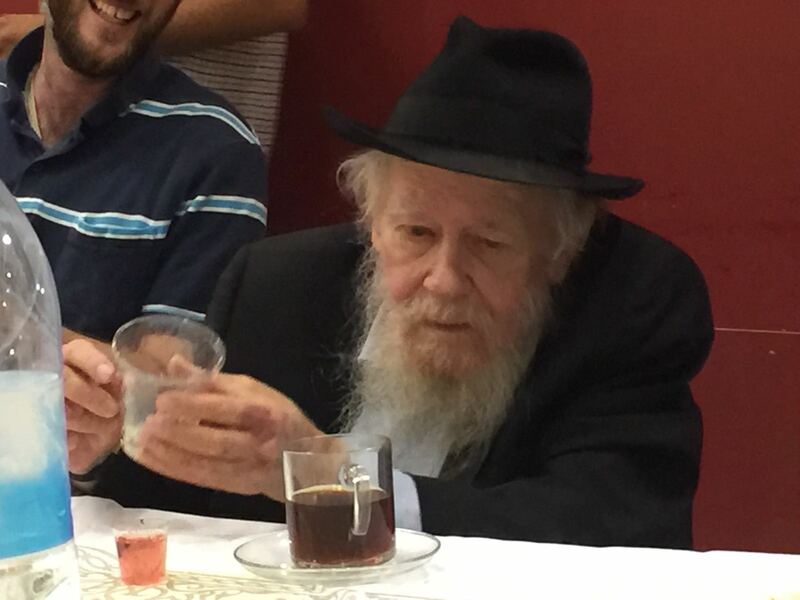 The rabbi, who is recuperating from a stroke, was present at the event. His excitement at finishing another volume of his writings was palpable. One of the greatest Talmudic researchers and commentaries of our time, Rabbi Adin Even-Yisrael Steinsaltz, led a moving conclusion to the edition of the Rambam's Shulchan Melachim and its commentaries. Present at the special event which took place at the Shteinzaltz Center in Jerusalem were Rabbi Menachem Even Yisrael Steinsaltz, Koren Publishers, Netanel Siman Tov and other leaders of the daily Maimonides learning project. The CEO of Shefa organization, Rabbi Menachem Even Yisrael Steinsaltz, son of Rabbi Adin, turned to all those who participated in the project and thanked them heartily for their contribution to its success. He said, "The conclusion of writing the Rambam's Yad HaChzakah that we are celebrating tonight is one of the four components of the Jewish canon that the Rabbi Adin intends to complete in the coming year. The generous help of Matanel Foundation and Keren Meromim have helped reach more than 300 schools and hundreds of people." CEO of the Daily Rambam, Ziv Hadzal, who also attended the event, said: "In the edition of the Rambam explained by Rabbi Steinsaltz, the rabbi simplifies hard words and complex halachic concepts on which the Rambam relies in his work." Rabbi Steinsaltz is considered one of today's greatest Talmudic scholars. He was recipient of the Israel Prize for Jewish Studies 1988, winner of the President of the State of Israel Medal for 2012, and recently awarded the Jerusalem Prize for the year 2017. A few months ago the rabbi had a stroke but recently returned to full functioning and continues to work on his writings and comes daily to his Jerusalem office.